THE BEST FORM OF VITAMIN C AVAILABLE. ANDS Skin Care contains Vitamin C Ester, a form of vitamin c that is widely considered the highest quality; best form available for skin care. Clinically proven to deliver greater results than other types of vitamin c; it's stable, gentle and incredibly effective at rejuvenating your skin. PATENTED INGREDIENTS & CLINICAL STUDIES EQUALS PROVEN RESULTS. Most skin care products don't contain ingredients that have been through formal, clinical studies. We do. Our patented Allantoin was developed to calm and soothe irritated skin. What's more, our patented Allantoin has been proven to deliver more active ingredients deeper into the skin creating a more effective product. A YOUTHFUL& RADIANT GLOW. Many of our customers have experienced a noticeable difference to their skin within the first few applications. A more even tone, less noticeable wrinkles and a healthier, vibrant looking skin. AMAZING FEEL. Upon initial application, you'll notice the difference right away with ANDS. A soft, silky feel that penetrates quickly and leaves your skin feeling soft and alive. Apply morning and night to face and neck before application of a moisturizer. 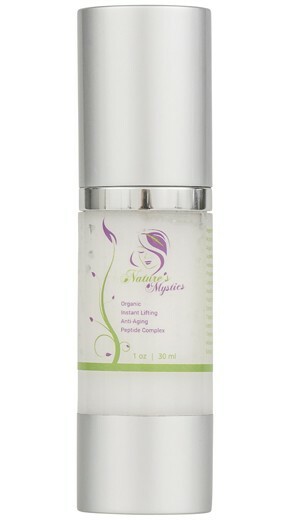 Moisturizer can be applied immediately after you apply ANDS Vitamin C Serum. NOTE: People with dry or sensitive skin that have never used a Vitamin C skin care product may experience a slight stinging sensation during the first few applications.